The K2 Raygun is a classic all mountain board which anyone will get along with. Powder, Piste and Park this board will do it all. 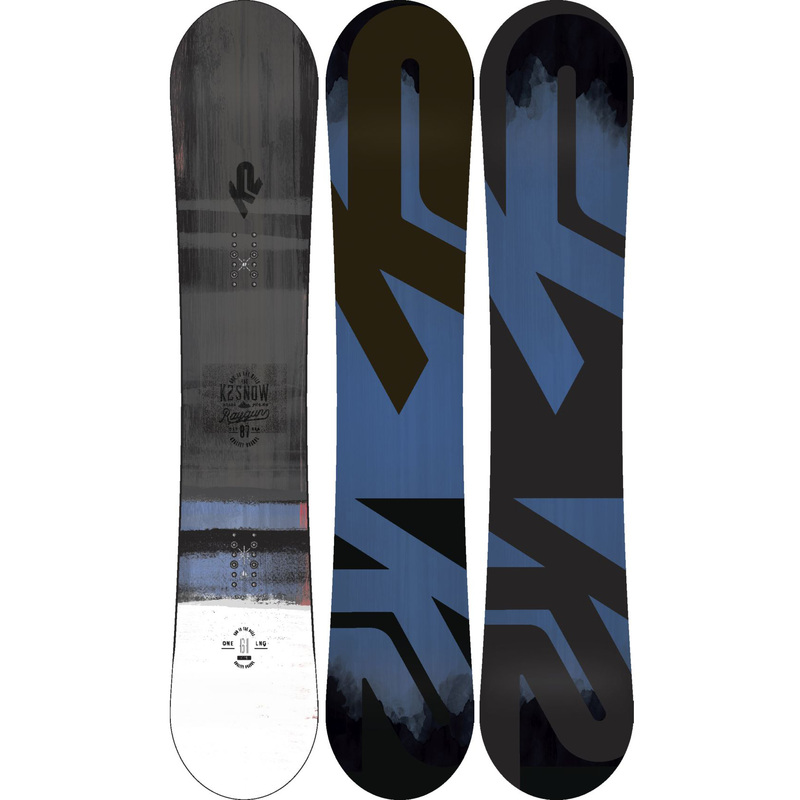 With an All Terrain Baseline meaning zero camber through to the outside of the inserts into reverse camber in the tip and tail with slightly more lift and rocker in the nose for pow float. Slightly setback stance with hybritech construction which is closed cap tips for reduced swing weight and ABS sidewalls for the effective edge giving a vibration free ride. Winning 3 years in a row "The Good Wood" award the Raygun is an easy answer when trying to do it all when on a budget.